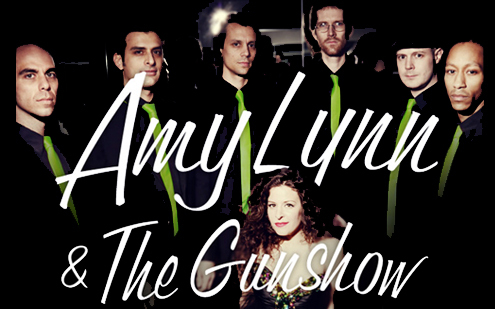 We’re huge fans of Amy Lynn & The Gunshow. The NYC-based pop/soul group make music that connects with you right at your core, just the way we like it. We’ve been lucky enough to be part of their promotional team since 2012 when they released their big single, “Clearly It’s Me.” Since 2012 they’ve continued to work extremely hard, and have grown tremendously as a band. Earlier this year they recorded an amazing new record, Don’t Trip On The Glitter, with producer/engineer Steve Greenwell (Joss Stone) that’s been making noticeable waves in the industry. We’re currently promoting the lead-off/title track from the album, “Don’t Trip On The Glitter,” as well as their latest, magnificent OUT Magazine-premiered video, “West Village Blues.” You don’t want to sleep on these vids, especially if you’re a native New Yorker.